A beautiful little community that only exists here and originates from the mind of Mike Gagnon, the creator. In 2002, while Mike was working for the State of Pennsylvania as a GIS Administrator, a project came across his desk to convert over 1 million acres of old and modern survey maps to GIS data sets. At the time the agency survey staff had no GIS training and he was not a trained surveyor. It was obvious that anything he did would be looked on as flawed survey data and bringing them up to GIS/Survey standard so they could do the work would be difficult. Their lack of of training and trust in Mike's technology abilities would take time. To move the surveyers to trust GIS and to protect the accurate and precise data. Data that needed to be protected at all costs, He had to bring his own understanding and skills to a higher level. As a GIS professional Mike had the computer skills. Also being a former retired army NCO, highly trained in geography and military mapping he had much of the basic training needed. He also had become proficient in helping professional biologists, hydrologists, mining engineers and using the their professional jargon. surveying methods and lots more. Mike needed a model to work on sohe could work out how all these things were done. Unwilling to use real data because of security reasons and respect for the staff surveyors. He was left with the need to invent his own test data. He would created faux parcels from faux documents that he wrote. Soon there was a little village of parcels and land documents. One day as a retired gentleman, he came across the old data on a USB thumb drive and started to play with it. He also used the owner descriptions to write fictional stories. Entertaining himself with the owner characters he decided to use the maps as locations as a base for more characters. It becane so entertaining that he decided to name the fake little town Maple Grove and began to expand it with a history and the other basic organizations, government and people. Mike created a story site and simple Maple Grove Wikipedia (MGPedia) on his computer and let his imagination and old GIS data grow. It beacme so large and entertaining he decided to shre it to others. so now Maple Grove is an online virtual story community based on the idea of a series of stories describing the founding of an American town. Then tracking all the historical information. Filling in all the locations, people, events, time periods and other pertinent information so other stories can be created. None of the Maple Grove information or physical objects on this site are real. As it grows and others get the calling to add their two cents to the project who knows what will happen? 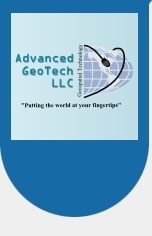 Copyright © Advanced GeoTech, LLC 2005-2017. All rights reserved.